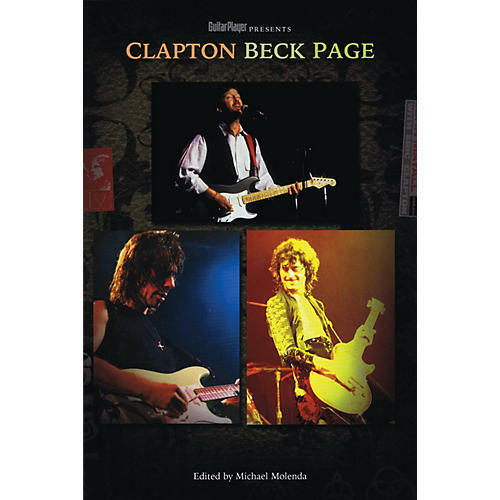 Culled from the archives of Guitar Player magazine, one of the most credible and longstanding music publications, Guitar Player Presents Clapton, Beck, Page traces the mammoth and influential careers of the three most important guitarists in rock and roll - Eric Clapton, Jeff Beck, and Jimmy Page - with insightful interviews from the '60s and '70s to the present. Learn how these guitar heroes developed their styles and sounds as they were doing it. It's all here - details on legendary collaborations, stories from the studio and the road, breakdowns on gear, early influences, musical philosophies, secrets and tricks. Thrill to their own assessments of their technique, tone, and creativity over the years. Share in the musical triumphs, disappointments, goals, and dreams of three men who forever shaped the sound of rock guitar. Also included are style lessons and licks from Guitar Player's staff of music writers and transcribers that will help you crack the code of how these giants crafted their magic.